Celebrating 10 years of success, Apple once again unveiled its outstanding innovation. It is none other than iPhone X or iPhone 10. After introducing exquisite features within precedents iPhones, Apple is now up with sophisticated and captivating design. Not only design, but excellent specifications including hi-tech security, fast processor, easy navigation and much more is alluring iOS lovers. What else is exciting about the very new iPhone X. Let’s have a look. Overcoming all the drawbacks of its precedes’ designs, iPhone X won a bonus point for its upgraded built quality. Unlike iPhone 8, it owns a premium stainless steel rim leveraging a strong grip to its users. Though, the design did not compromise with its appearance, yet it is maintaining the flawless texture and seamless edges. This is why, it is the future of smartphones. 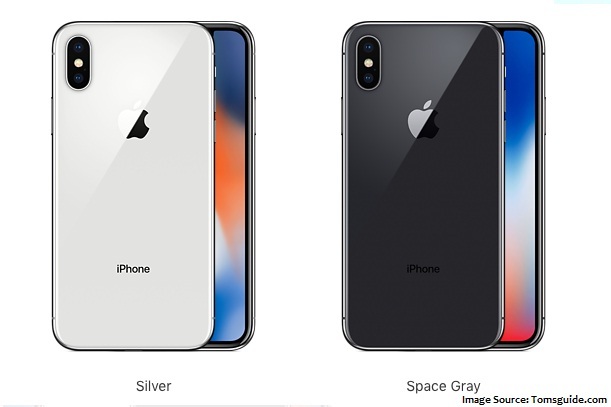 Introduced in two elegant colors; Silver with White back and Space Grey with Black back, it is deemed as one of the stylish phones of all times. The front and rear are covered with glass looks fabulous, until they get greasy fingerprints. However, the device will not give the relief when it is about drop testing. 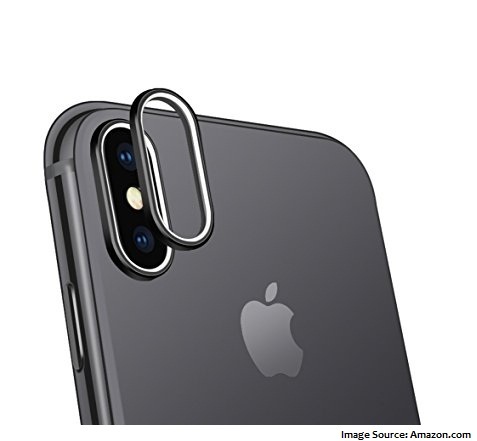 iPhone X will bring minus one in aspect of its glamorous look as its stainless steel rim will go through scratch-up mess with usage. However, all the magic lies at the front screen that has been pushed out to the edges. The bright display surrounded by a sleek black border gives the nice contrast. Talking about its very smart transition for navigation, Touch ID fingerprint scanner has been removed. And, very intelligent biometric access is introduced; facial recognition. Infrared camera, dot projector and flood illuminator are the elements combinedly called notch built at the top of the screen adding Face ID recognition feature to iPhone 10. However, it won’t ruin the appearance of the front display. Time and battery indicator are placed on either sides of the notch. And, yes, remaining battery status in percentage and headphones connection will not be displayed until Control Center is tapped. Though removing the center button is giving it a distinctive look, but initially, it may give a discomfort to its new users. Let’s see, how many of iPhone succeeds will follow the same design. iPhone X is not only ruling when it comes to Face ID security. 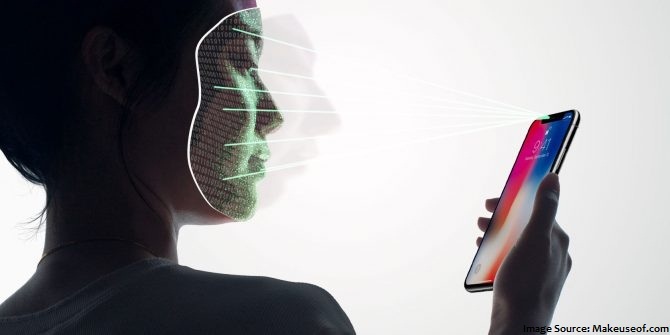 There are other smartphones which gained popularity for its Face ID accessibility, but they lagged behind iPhone 10 due to their delayed response. Face ID sensor of smart iPhone X works accurately and does not fail with user’s picture or twin. Also, it works perfectly with spectacles, light or dark surroundings and side facial impression. However, messy morning eye or distant accessibility cannot unlock the phone. When talking about Touch ID apps, they are automatically upgraded to Face ID ones. And yes, the payments are also made possible with Face ID sensor. Supporting Dolby Vision HDR and DCI P3 color gamut, iPhone X screen is upgraded to OLED panel with highest resolution of 2436 x 1125 pixels. However, Apple was using LCD screen technology for its other iPhones. OLEDs lets the user to experience perfect blacks, amazing contrast and magnificent colorful picture. While there may be a blue shift, if the device is tilted off-axis, but it will not be noticeable. Considering the colors, iPhone X boasts natural colors with low intense saturation. The very excellent fact about iPhone X is, it amends screen temperature according to the surrounding temperature. It’s 3D touch allows the user to make multiple actions using varied pressure levels on screen. Unlike, Android smartphone’s OLEDs display, it gives the stunning experience without making any false color or notch distractions. Powered by A11 Bionic chip, iPhone X is superficially fast and owns 3 GB RAM in addition. The chip, A11 Bionic consisting of six core processor drives all the tasks with utmost ease. If talking about internal built, it is exactly similar to iPhone 8 Plus. The base line is, gross navigation is immensely smooth. The app performance is similar to that of its precedents. The only difference about its apps is, they are upgraded for iOS 11, and there is no such augmentation in aspect of performance. Although the screen is stretched from edge-to-edge, but the device still have enough room for dual speaker setup; one forward-facing and other downward. While playing video whether in portrait or landscape orientation, no speaker will be blocked by the user’s hand, instead it gets loud. Well tuned bass offers a plenty of detail while the audio quality is also impressing. No matter, if the user is using Bluetooth headphones or not, the sound quality is marvelous. The in-built mic with noise-cancellation feature is doing an excellent job for making the calls. One of its another Three’s Wi-Fi calling feature is performing good and this is why iPhone X is one of the few phones that supports it without fail. Popular for its removed Home button, iPhone X makes its users to learn a few new gestures to operate the device. Switching the apps is made possible by holding them from bottom and swiping upwards. Initially, such gestures may feel odd to the user, but they are easy to learn and use. However, there are a few functions which required Home screen button, but now can be accessed using lock button placed on the side. Double tapping the lock button will navigate the user to Apple Pay while tapping it for five times will make the emergency call. Pressing the lock and volume down button will capture the screenshot. If these two buttons pressed longer, it will turn off the phone. Looking at the screen will fade the timer allowing the user to read the notifications. Unlike iPhone 8, iPhone X had some bugs within the software at the time of launch. Even when the device is lock, iPhone 10 gives accessibility to torch and camera. Animoji, one of the distinctive features is a lot of fun. 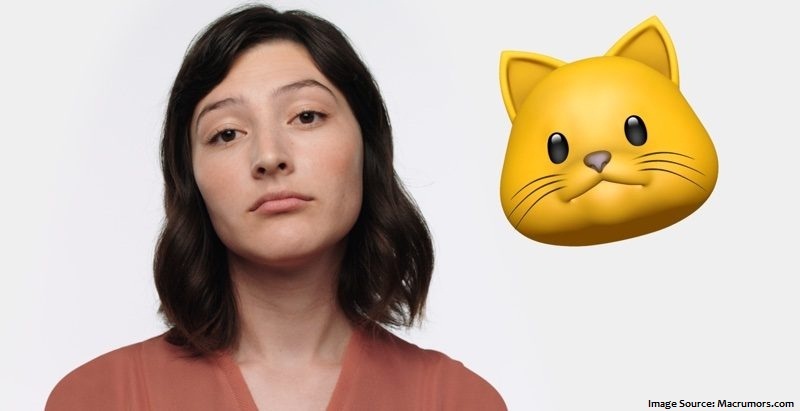 With Face ID camera, the user can create an emoji with different facial expressions. Since, Animoji(s) are saved with .MOV extension, they can be shared or sent to any iPhone device. iPhone X software is well justifying the expected user experience, but it is lagging behind with only one point; there is no split screen multitasking interface. Akin to iPhone 8 Plus, iPhone X has 12 MP dual cameras on the rear. Though the main wide angle camera is introduced with an aperture of f/1.8, but its telephoto camera has widened aperture ranging from f/2.8 to f/2.4 is upgraded. This amalgamation and amendment makes it to click clean and crisp both landscape and portrait images even in low-light. iPhone X front camera 7 MP has now been enabled to Portrait mode. But, it is somehow giving minus one, when it is about differentiating the face and background. To process better colors, textures and performance, the sensors are rebuilt and new Image Sensor Processor is introduced which makes it faster and excellent. This is another reason that makes pictures more saturated. Hence, iPhone X makes a perfect fit when it is about clicking landscape shots or vivid pictures with true colors. The shot pictures by iPhone X camera gives an excellent range of light and dark colors without any overexposing. Even if the picture is clicked from a distance or in 2x zoom, it gives perfect detailing in-depth. Portraits pictures are also great with iPhone X’s Portrait mode and secondary camera. The range of lightning options is less. While options like ‘Contour light’ and ‘Stage light’ are serving the best of its features for capturing high definition pictures. Even the user can crop the person and replace it with black background. However, it will not give professional editing option. Bestowing the users with its superficial camera, iPhone X is great for capturing slo-mo videos with 240 fps at 1080 p. And, of course, iPhone 10 is the first smartphone to support video shooting with 4K at 60 fps, though it requires switching to HEVC format. The battery life of iPhone X lasts easily for approximately one day. After iPhone 8 and 8 Plus, iPhone X is up with the wireless charging option. Since, the device employs open Qi charging platform, it can be charged with not only with Apple’s pad, but other host of pads. Apple is expected to launch its own dubbed AirPower, until then pads like Belkin and Mophie can be used. Despite of the fact that it has wireless charging mode, it consumes equal time to that of wired charging. In order to charge it faster, either an iPad charger, USB-C-to-Lightning cable or USB-C plug can be used. iPhone X: Is It Worth Buying? iPhone X is definitely a great innovation, especially when it is about design. 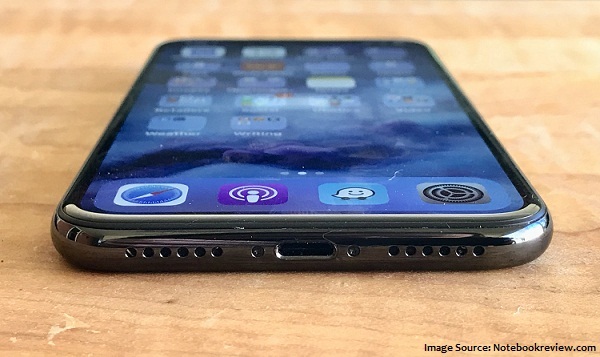 When considering, its precedents – iPhone 8 and 8 Plus are lagging only with their old design and a few potential innovations. What’s actually giving iPhone the win-win factors; Face ID over Touch ID and extended screen. The combination of metal and glass body is something that makes iPhone X a most gorgeous smartphone. The device is, undoubtedly, a must go option for those who are willing to make an investment on a device that is certainly worth it. It will not at all disappoint to its buyers. iPhone X is available online stores with 64 GB and 256 GB at approx. $999/£999/Rs.84,999 and $1,200/£1,200/Rs.99,999 respectively. Easy EMI options are also available at a few stores. You can place order from listed below links for best deals.